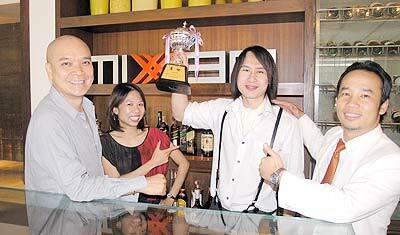 Pictured is Eakrach Ratee, bartender at the Moxie Restaurant, who was the winner of the Bartender Contest 2008 held recently by the Thai Hotels Association at the Imperial Mae Ping Hotel. With Eakrach are Somock Intavong, (Guru D2), Danaya Sarikbutr and Suravee Chaiwong (l/r). Seen celebrating Smoothy Blues on Nimmanhaemindha Road and joining www.mealsonwheels4u.com were Ramlah, Roxy, Jareamta and Mike. 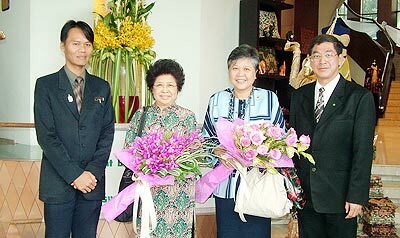 Than-pu-ying Butrie Viravaitaya, (second left), His Majesty’s Deputy Principal Private Secretary and entourage, visited the Imperial Mae Ping Hotel and were welcomed by Pratya Pichaisat, (right), director of general affairs, upon their arrival. Left is Khun Udomrat Pakpoo, assistant front office manager. 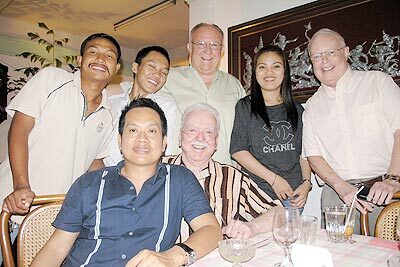 Gao Linprasert, (right), and Yim, (3rd left), from Ace! (Academy for Education USA), hosted a Peer Talk on ‘Inside Tracks to Princeton & Yale’ by Ace interns Alex Man and Keely Robinson for high school students and their parents. 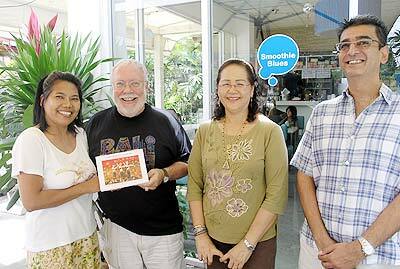 Tom celebrates his birthday with friends at West on Nimmanhaemindha Soi 7. 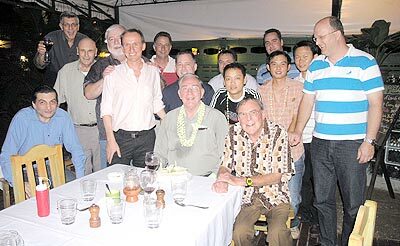 After a long absence from the social scene Bud Velat, (centre), is back, seen enjoying a meal at Hauy Taew on Nimmanhaemindha Road recently. 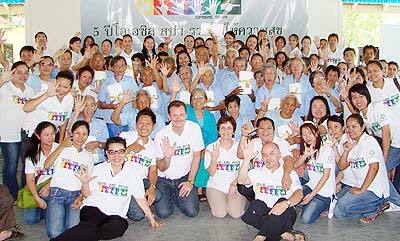 The Oasis Spa’s management team, led by Toby Allen and Pakin Ployphicha, (center front row), together with staff recently hosted lunch for more than 200 elderly at the Thampakorn Foundation - Chiang Mai to mark its 5th Anniversary on August 20. The caring activities included Relaxing Aromatherapy, fun, games, and contributed gifts of necessities. 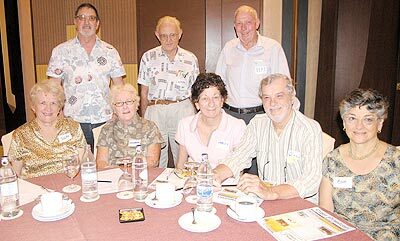 The Aussie contingent at the Expats’ Club consisted of Ellen, Maureen, Karly, Ric, and Rose, (seated) with Frank, Adrian and Bert, (standing).